Recap: Exploring and working in space is extremely dangerous. A Japanese space-exploration agency has partnered with All Nippon Airways to ask engineers to build them robotic avatars that they can control from Earth to perform risky missions in space. One "cyborg technology" company already has a prototype. Back in July, we reported that Russia was sending a robotic crew to the ISS. The novelty of the story was that they were transporting the bots as crew members rather than cargo. Russian state media admitted that it was nothing more than a publicity stunt and the robots had no real mission. However, now JAXA (the Japan Aerospace Exploration Agency) and All Nippon Airways (ANA) want to send robotic avatars to the ISS to do real work. According to IEEE Spectrum, the project is, in part, a $10 million competition — the Avatar XPRIZE contest. Sponsored by ANA, the four-year invitational is looking for engineers to build “real-life avatars.” That is to say; it wants robots that can be fully controlled by humans remotely. JAXA/ANA want avatars that can be controlled through “immersive technology” so that humans can operate the robots as if they were there. This concept would allow experts on the ground to perform dangerous missions in space from the safety of their ground-based telepresence platforms. The schedule for the contest is somewhat vague. JAXA wants to have ground testing commencing by 2019 and trials on the ISS by “202X.” After that, it wants to look at moving operations to the Moon and eventually Mars. It sounds like the supposed “four-year” contest is going to take much longer. However, at least one company is already well underway. Japan-based “cyborg-technology” company, Meltin, has already announced a working prototype (video above) called MELTANT. 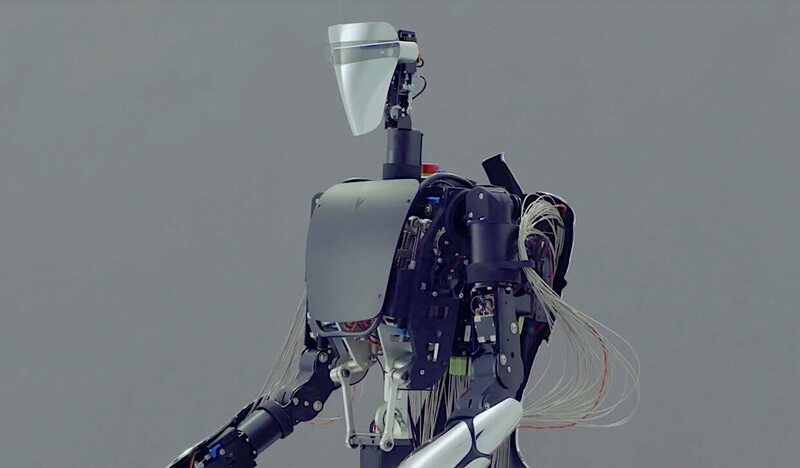 It’s a humanoid robot on a rolling platform that has numerous points of articulation including two hands with 10 working human-like fingers. Meltin claims that the avatar will be capable of assisting in a multitude of tasks. However, it has only just begun some in-house testing and still needs a lot of work. If Meltin can stick to JAXA/ANA’s loose schedule, MELTANT should be ready for practical ground testing next year.